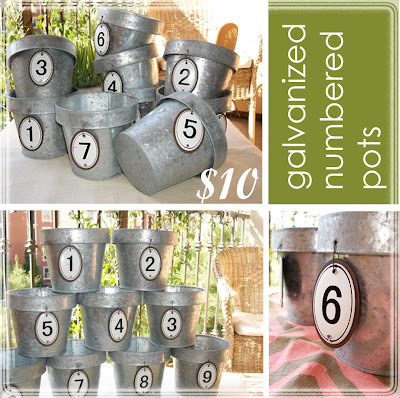 Accent your garden with these adorable Glavanized Numbered Pots! There are a "number" of fun ways to use these pots: plant out with flowers, herbs or wheat grass; line with a napkin and fill with wrapped candy or peanuts at your next party; numbered centerpiece for a spring bridal or baby shower; to hold arts &crafts supplies - paint brushes, colored pencils, markers, and more! Illuminate your décor with colorful jewel-toned votive holders. 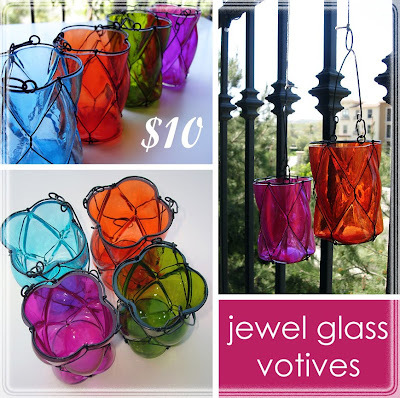 Each glass votive is twisted with wire, giving you the option to hang them for added ambiance. Hang these lovely votives from tree branches in your backyard the next time you entertain. 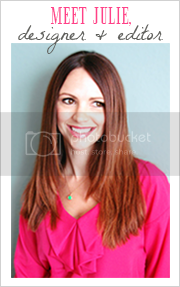 You can also hang them above or near your bathtub to create a relaxed ambiance. Place them down a dining table mixed in with a fresh flower arrangement. Use as a mini flower vase to display a small bunch of fresh cut blooms. Available in (4) colors. Jules, love the glass votives... what pretty colors! Love the new spring items, the votives are wonderful!! Bright and colorful for the deck! Love these numbered pots! so cute in the garden, on a window sill or in the bathroom! 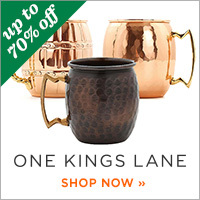 Im seeing lettered and numbered home accents everywhere-digging it.